← How can high levels of particles in tunnels be reduced? 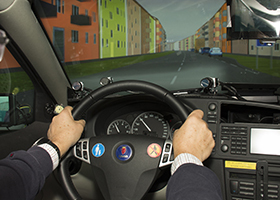 The Swedish Transport Agency has tasked the National Road and Transport Research Institute (VTI) with developing a simulator-based test method for assessing driving ability in individuals with loss of field of vision. In a newly published report, the researchers describe the approved method, which began to be used in testing last year. 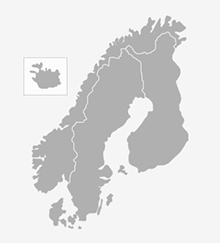 Every year some 7000 people in Sweden have their driving licences revoked on medical grounds. Some of them are people with loss of field of vision due to conditions such as diabetes, strokes or brain tumours. However, this vision defect need not always affect the ability to drive. When a person is born with loss of field of vision or develops it early in life, the brain can compensate for the loss. It is important to consider all the criteria, not just vision. “VTI was consequently tasked by the Swedish Transport Agency with developing a reliable and simulator-based method for assessing driving ability in individuals with loss of field of vision. Practical driving tests for this condition are not permitted in Sweden, so we developed a simulator-based test method, and over the year we have begun testing in our simulator in Linköping”, said Jan Andersson, a professor at VTI. People with loss of field of vision can use the test results as documentation when applying for a dispensation for a driving licence from the Transport Agency. Decisions regarding such dispensations are still made by the Transport Agency. The purpose of the project was to develop a method to optimize validity and reliability when testing unique individuals. “The events that we have created make it possible to vary the performance requirements, which are similar to those that drivers commonly face in traffic. We can also test all the test subjects on the same events, and compare the test subjects’ results with a reference group’s results”, said Andersson. An analysis indicates that, of the 20 test subjects with various types of loss of field of vision who were tested within the framework of the research project, 11 passed the test by an acceptable safety margin. The two independent graders were in agreement in 18 of these 20 cases. An additional assessment was necessary in two of the cases. The 20 test subjects were given their test results, and some of the 11 who passed have proceeded to submit an application for a dispensation to the Transport Agency. “Because we do not know the details of the loss of field of vision these individuals have, we cannot say whether the test results are an effect of the type of loss, or whether there are other deciding factors. We thus cannot explain why some individuals exhibit safe driving behaviour and others cannot do so. It would be interesting to study this more closely”, said Andersson. The tool created offers a method that is of sufficient quality to be used in assessing the driving ability of individuals with loss of field of vision. It is still possible to develop the method further in several ways, and the researchers consequently believe that it would be desirable to follow up those individuals who do obtain some type of dispensation from the Transport Agency. The performance of regular tests began in June 2016 at VTI in Linköping, giving individuals who have lost field of vision and had their licenses revoked, the opportunity to test their driving ability at their own expense. Interest in the tests is strong, and there is a backlog of people who have expressed interest. So far The Swedish Transport Agency has given dispensations to five people, read more (in Swedish). This entry was posted in Safety, Uncategorized and tagged driving ability, loss of field of vision, method, simulator, traffic safety. Bookmark the permalink.